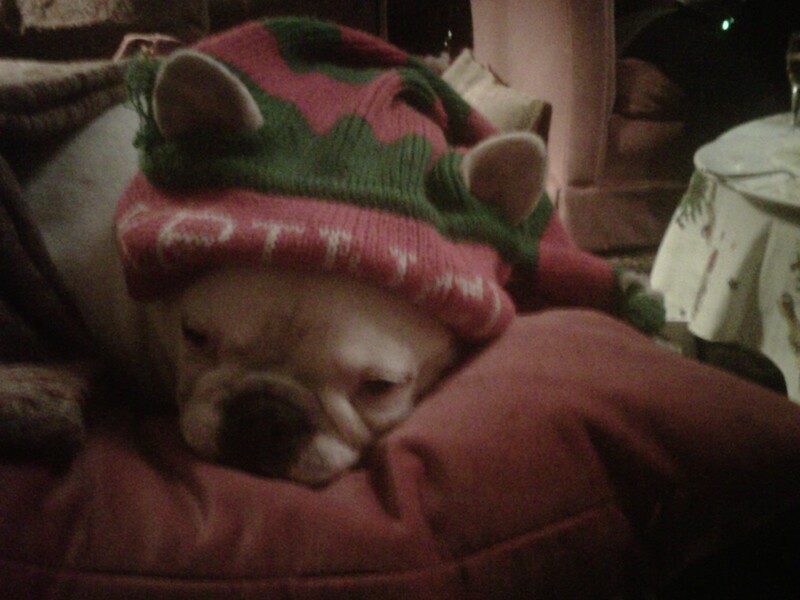 Stupid Costumes, Outfits and Hats My Person Put Me in Even Though She Promised Herself She Never Would. | That's what B said. Stupid Costumes, Outfits and Hats My Person Put Me in Even Though She Promised Herself She Never Would. I don’t love bringing Christmas cheer but I will ingratiate my person in order to partake in the consumption of Holiday delicacies. Although the Turban can be quite Sikh (tee he I just love playing with words! 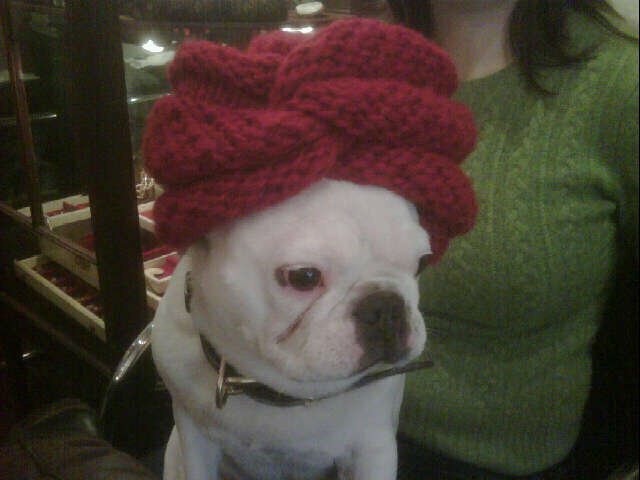 )…chic, I should say…I only wear ones that are made from 100% Cashmere or Peruvian baby alpaca. Otherwise, I am afraid my beautiful porcelain skin becomes quite irritated. 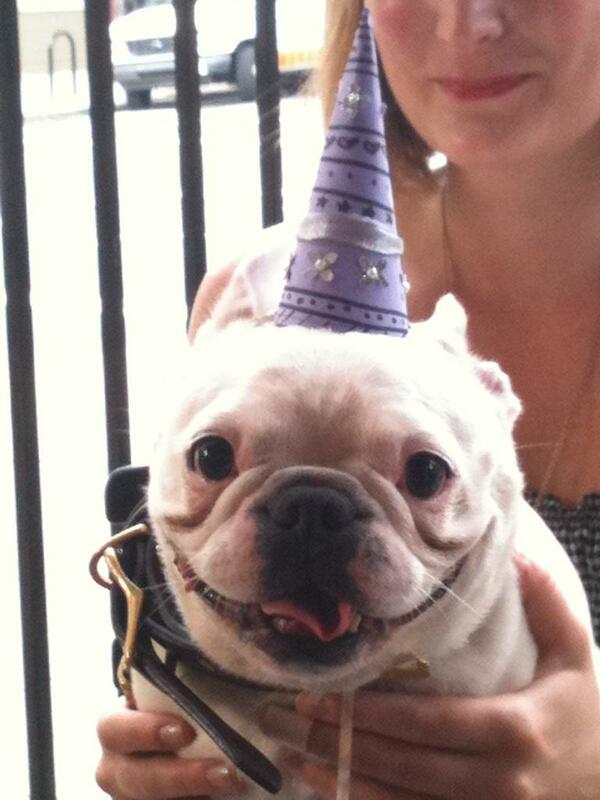 Pictured, I attended a friend’s birthday party. I allowed myself to be adorned with this ridiculous and uncomfortable hat out of grace and social propriety,. 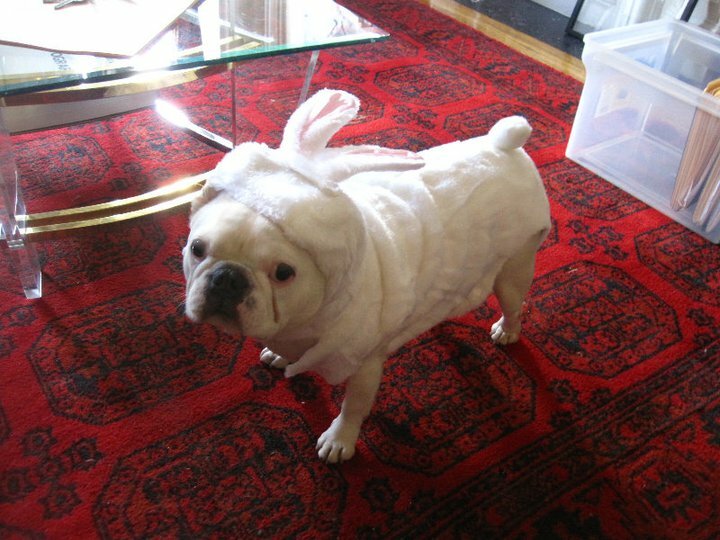 Upon first glance one might liken my suit to an Easter bunny costume; however, it is actually a post-modernist statement. 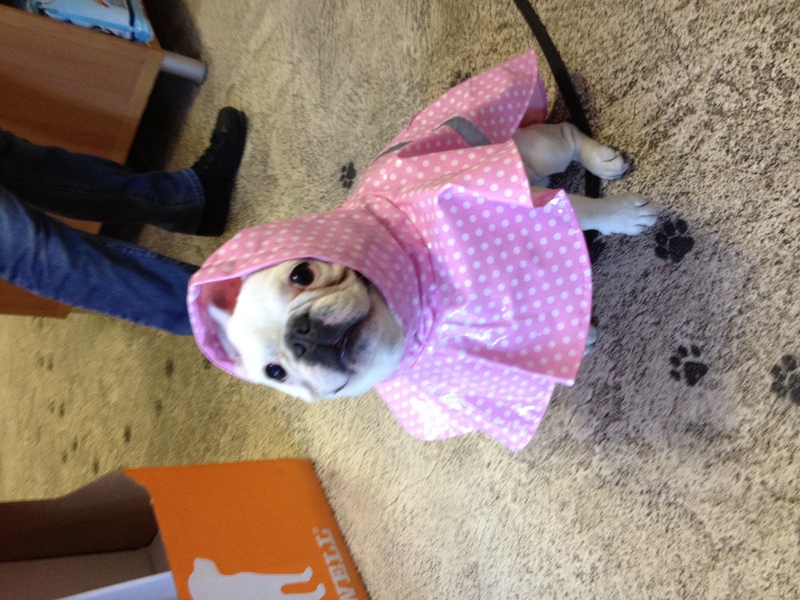 Somebody became VERY upset when she wasn’t allowed to purchase this stunning pink polka dot rain slicker. 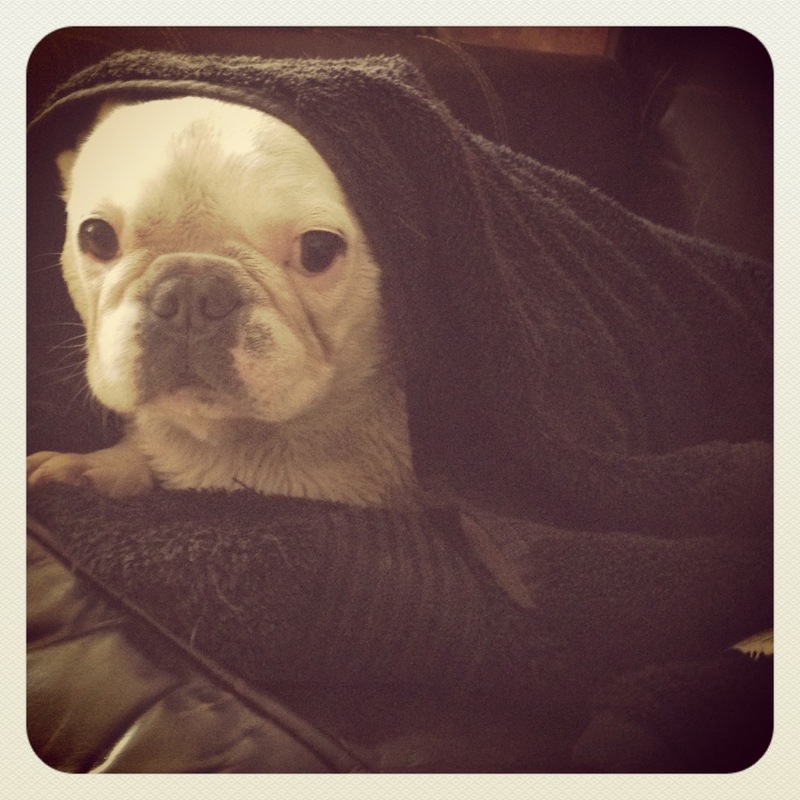 Here I am after a particularly irritating bath. I have to say – the ‘je ne sais quoi’ of how the towel was thrown across my brow gives me that refugee look that is just SO in right now!